Pierce County has come to a crossroads, with two potential routes ahead of us. One path leads us to being a bedroom community for King County. In fact, that is already a reality for about 33% of our citizens who live in Pierce County but work up north. The other path leads to more local jobs right here in the County. It would be better for the many new families moving to our area if they could spend more time together and less time stuck in traffic. The long commute, in a car or on transit, steals time from dinner together, softball games, helping with homework or planting a garden. On one hand, I am thrilled with all the new folks making our neighborhoods more lively and diverse. On the other hand, I know how many of our new residents must commute out of Pierce County for their job. I am one of the people tasked by Executive Dammeier with promoting a better jobs/housing balance, persuading new employers to locate here and incenting existing employers to expand their capacity. We have great partners in this work. One area of focus is connecting a range of jobs with the technically skilled service members at Joint Base Lewis-McChord who leave the military. One growing field in our region, life sciences research and production, is a perfect fit for those new veterans transitioning into civilian life. 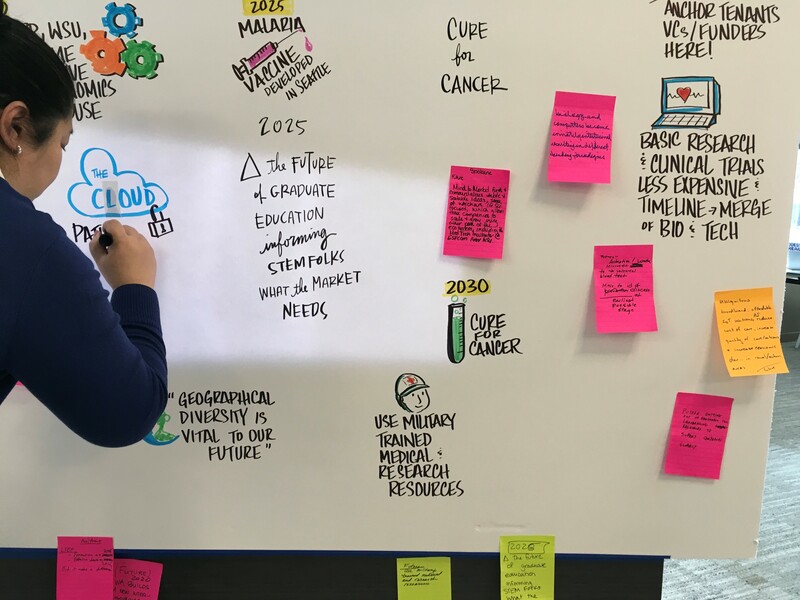 Earlier this year I was invited to a regional strategy session hosted by Life Science Washington, an association that works to promote the life sciences industry. Some of our work is pictured below. At the strategy session, I persuaded my colleagues to recognize military medical personnel as a strategic asset for our region. I explained to the Seattle and Redmond participants that we have a significant medical research center at Madigan Hospital on JBLM. Doctors, nurses with advanced degrees and skilled researchers come with the territory. Those soldiers are pretty good at robotics, as Amazon knows from employing so many veterans at their fulfillment centers in Pierce County. Blend that military talent with a top-notch School of Nursing at Pacific Lutheran University, two life sciences research centers at the University of Washington Tacoma (UWT), and two large hospital systems and you have the nexus of talent for biotechnology and biomedical production. In addition to JBLM, another key partner in this work is the Center for Urban Waters at UWT, a leading research facility on the topic of water quality. They have advanced technical solutions for identifying pollutants and their sources. We also have a significant partner in RAIN (Readiness Accelerator and Innovation Network), a life sciences incubator that fosters start-up companies working on biotechnology and wearable technology. Technology companies prefer to locate near research institutions, and the University of Washington Tacoma and its affiliates are making that a reality here. Contracts and grants for new research are being awarded to both institutions, and we can expect good quality employers to spin out of those institutions in the next few years. RAIN has staked a claim on recruiting a new generation of scientists, hosting a Superheroes of Science lecture every month featuring leading researchers in applied science from across the country. 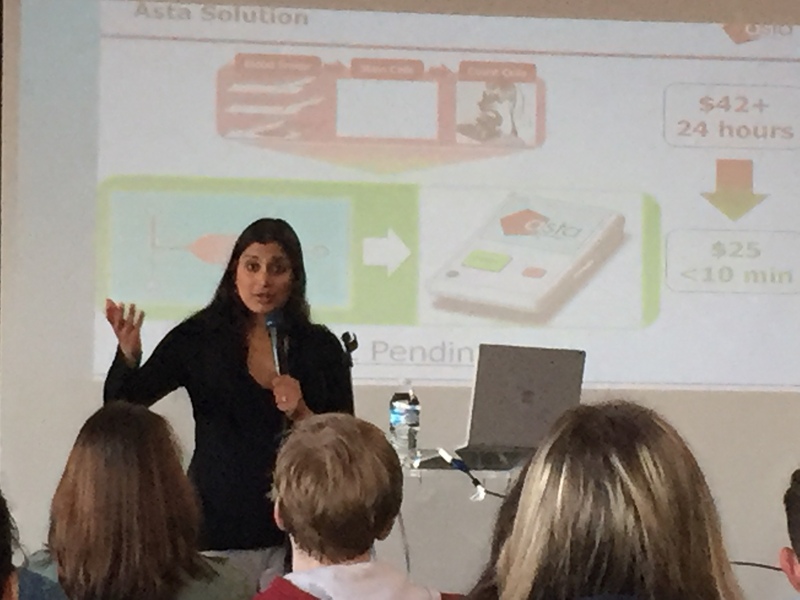 The most recent lecture was by Dr. Sumita Pennathur from the University of California at Santa Barbara. Her research focuses on people with diabetes, especially how to improve the delivery of supplemental insulin. Her own daughter has Type I diabetes, so she has hands-on experiences with the challenges patients and their families face. She holds a variety of patents and inventions, and has formed two companies to market her technology. She’s a terrific example of the kind of entrepreneurs we’d like to have in Pierce County. On the good news front, both Urban Waters and RAIN are focused on clean analytical research, which supports and protects our environment and beautiful natural surroundings. We are working on additional employment opportunities in Pierce County, so more to come. In the meantime, if you have friends or relatives who work in life sciences that might be interested in locating facilities or production here, please send them our way. It’s time to get more Pierce County residents off the freeway and home in time for dinner! 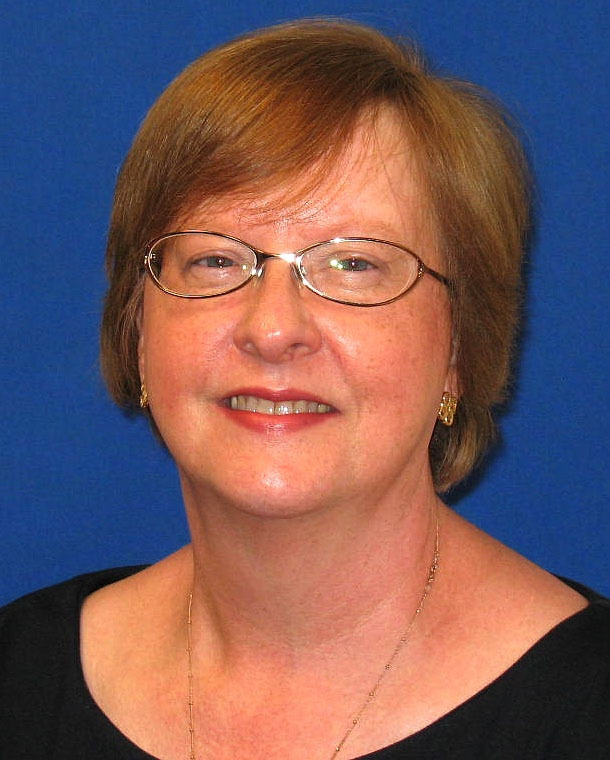 Catherine Rudolph is the Strategic Advisor for Economic Development. The ideas expressed here are her own.